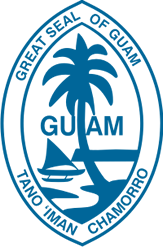 Are you looking for a private swim coaching on Guam? | Click here to get on the fall season schedule. Even the very young can learn how to swim Freestyle, Back Stroke and Breast Stoke. The youngest kids Ben typically coaches are 3 years old. In this picture 3 year old Emily is preparing to dive and streamline. Children 7 years and above are typically able to learn more advanced techniques such as flip-turns, bent arm recovery bi-lateral freestyle, and butterfly. In this picture Samantha and Sabrina are preparing to do kick on the right with a board which will help them to learn how to breath on their left side for freestyle. Adult swim coaching sessions are very popular because they are highly effective for rapid progression. As adults we often have little time to spare for our own leisure activities therefore private coaching is extremely useful. In the picture tri-athlete Paul is learning how to modify his freestyle to reduce drag and improve his swimming race times. Want to learn competitive swimming skills? No problem. Having learned skills and methods from some great coaches, combined with his experience as a competitive swimmer and coach, Coach Ben has substantial knowledge of technique and swimming mechanics. Looking for a professional swim coach on Guam? Coach Ben holds multiple certifications, has worked with 600+ clients, has coached 6000+ sessions, has 17+ years experience, and has spent a total of 20,000+ hours in the pool. Each session is 40 minutes in length with a 5 minute additional change over period. An additional $1.50 per swimmer per session entrance fee will be added to your invoice. This goes directly to Agana pool. You will not need to purchase pool passes for Coach Ben’s sessions. Tues/Wed/Friday afternoons 2pm-7:30pm and Saturdays 2pm -6pm. All Coach Ben’s swimming lessons take place at Hagatna pool.